On this table I realized that elemental potassium could adopt oxidation states of -1, 0, and +1. Does this mean that elemental potassium can function as both an oxidizer and a reducer? I understand that oxidizers are reduced (gain electrons), and that reducers are oxidized (lose electrons). How can potassium anion be formed? The potassium anion must be extremely unstable due to potassium's extremely low electronegativity, correct? Also in what compound does potassium actually have a negative oxidation state? Crystalline Salts of Na- and K- (Alkalides) that Are Stable at Room Temperature J. Am. Chem. Soc. vol. 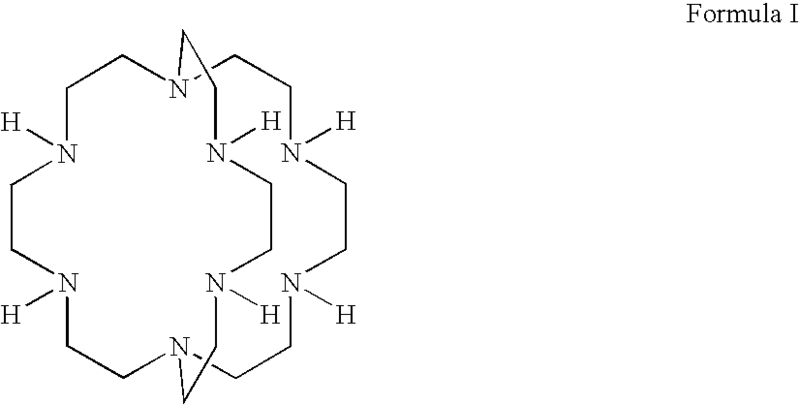 121, pages 10666-10667 describes preparation of K+(aza222)K- , where "aza222" is the compound in the above figure, but with the 6 H's replaced with methyl groups. The compound is formed by dissolving potassium metal in methyl amine solution of the methylated aza222. Why do acids favor the oxidizer? And bases the reducer? Oxidation of an aldehyde - how is this a loss of electrons?